At Heart Journey, the styles of Reiki taught by Daniele Hart are Usui, Tibetan, Karuna, and Komyo. Daniele is a Reiki Master in these styles, and was taught by Reiki Masters Denise Crundall (Australia), William Lee Rand (Michigan), and Teresa Canoza (Toronto). The focus of the classes is on teaching both Western (Hawayo Takata and more modern techniques), as well as the traditional Usui Japanese approaches to doing reiki, with an emphasis on providing the most up to date information available about reiki so that students can decide for themselves how they want to practice. Students from different lineages are always welcome. The ART - Advanced Reiki Training class is usually taught as part of the Usui-Tibetan Reiki Master class, but it can also be taught as a stand-alone class. It is a one-day class during which students learn to incorporate the use of reiki with crystals and gemstones on their own and as part of a reiki grid. 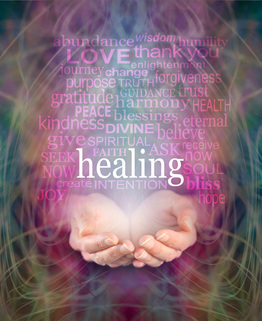 Various reiki meditations and techniques are taught including a specific form of aura clearing also called psychic surgery. Students will be attuned to and receive the Usui Reiki Master symbol, which will enhance the effectiveness of the Level II symbols they have already learned. Students should have taken Level 2 Reiki at least 6 months prior. Comes with a manual. Cost: Early Bird 225 + hst. One of my students? Re-do and pay 25% of cost.